Enclave - Plenty of room to garden and create your own backyard oasis! MLS#2233484. 3081. The home has been through major upgrades and remodels over the years, the result being a fabulous home with large bright open spaces. MLS#2233133. 4655. Briar Chapel - Walking distance to pool/clubhouse. Very well kept MLS#2233267. 3338. 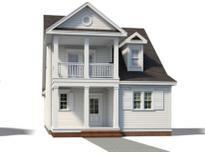 Briar Chapel - Presale for comps purposes only. MLS#2232879. 2527. Briar Chapel - Pre-sale for comps purposes only. MLS#2232872. 2527. Briar Chapel - Pre-sale for comps purposes only. MLS#2232875. 2527. Orange County Serenity awaits you! No convey: Freezer, Fence. MLS#2232810. 187. Governors Club - Hold tight to this one & happy nesting! MLS#2232459. 150. Close proximity to UNC, Duke, RTP & RDU Airport, top-notch medical, shopping, music & arts. MLS#2232222. 3506. Wilkinson Creek - A true labor of love & ready for the next chapter. MLS#2232262. 81. Westfall - For comp purposes only. MLS#2232109. 1886. Westfall - For comp purposes only. MLS#2232115. 1886. Creative areas & separate nanny suite are the cherry on top! 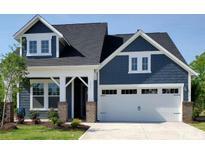 MLS#2231888. 62. Lake Hogan Farms - Amenities include 12-acre lake ,swim & tennis club, basketball, trails & playground. Close to CH High. MLS#2229046. 81. Beautifully landscaped, entry fountain, Arboretum, multiple out outdoor decks." MLS#2231844. 45. Briar Chapel - Pre-Sale first comp purposes only MLS#2231601. 2527. This home is part of the Lake Hogan Farms HOA which features a swim and tennis club, basketball court, tennis courts, children’s playground, walking and biking trails, 12 acre lake, and a clubhouse. MLS#2231565. 4823. Briar Chapel - Pre-sale for comps purposes only. MLS#2231541. 2527. Chancellors View - First floor master, massive covered patio with fireplace, over-sized pergola area, extensive land and hardscaping, all provide the perfect, private place for play or entertaining. Phenomenal schools and low taxes. MLS#2231313. 5129. Governors Club - Lower Lvl/ Apartment w/ full kitchen, private patio, bed w/ full bath, & the homes best feature, the INDOOR resistance POOL! A must see! MLS#2231375. 1128. 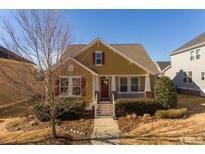 Close to UNC, RTP, RDU, Duke and renown medical facilities. MLS#2231085. 3506. 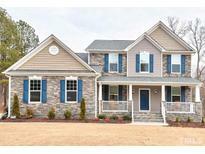 The Legacy At Jordan Lake - 5 hole golf, pool, walking trails, tennis courts & 24 hour fitness center MLS#2231099. 1369. The Legacy At Jordan Lake - The Villa Magnolia III MLS#2231127. 1369. Chancellors View - Outstanding schools w/ lower Chapel Hill tax rate. MLS#2230938. 5129. New windows installed in 2017 in the living areas The water heater was replaced in 2015 The well pump brand new in 2018 Basement wall repaired in 2017 The roof was replaced in 2001 MLS#2230829. 73.